Researchers spent an hour tracking a Great White shark off the coast of Cape Cod over the weekend, marking the first sighting of the season in the area’s ocean side. Members of the Atlantic White Shark Conservancy said the fish, which they identified as a female, was around 12 to 14 feet long, and was cruising through the waters off of Nauset Beach near Orleans on Saturday afternoon. The conservancy said the shark was roughly one-quarter of a mile off the shoreline. The crew first saw the animal from a tracker plane that was hovering above the ocean, and caught up with the shark while aboard their research boat. 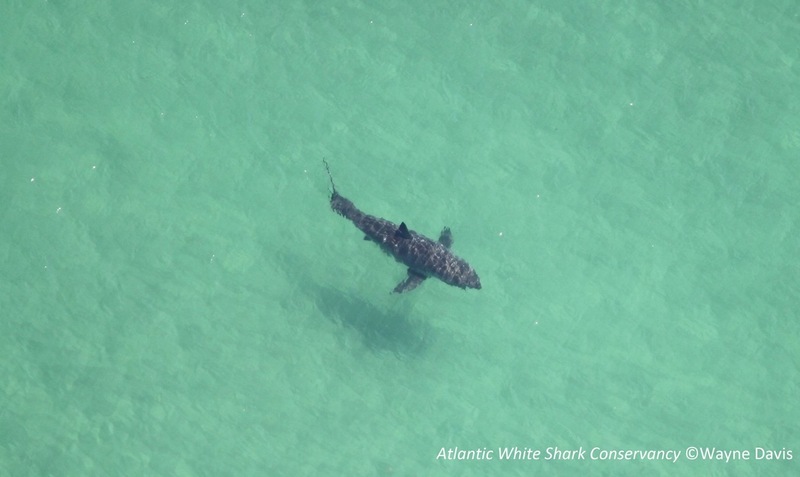 The conservancy, a non-profit organization tasked with studying the shark population on Cape Cod, and “raising awareness about White sharks as a keystone species of the ocean ecosystem,” named the Great White “Ping,” and added the shark to their growing database. 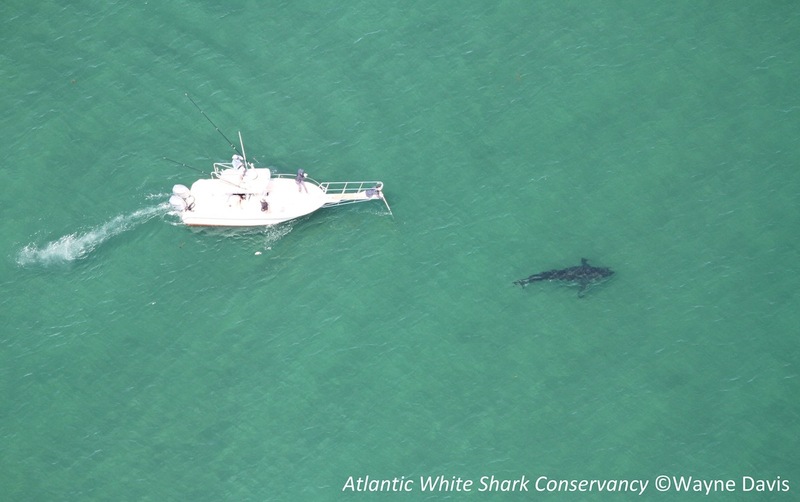 “She is now part of the Massachusetts Shark Research Program White shark population study,” researchers said. The sighting on the outskirts of Cape Cod came just days after tuna fishermen spotted a Great White shark swimming in Cape Cod Bay. The captain of the F/V Cynthia C got up close and personal with what he described as a 16 to 18 foot female shark. State officials confirmed the captain’s sighting after viewing a video of the shark swimming near his boat. 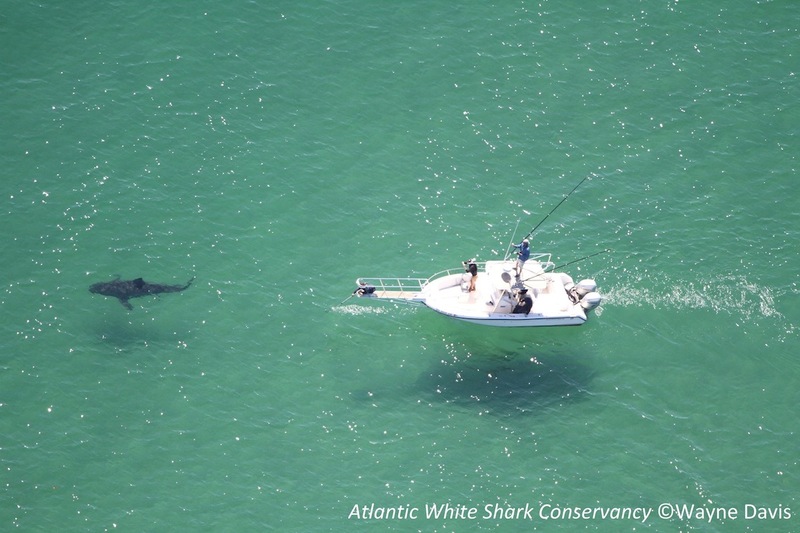 The Atlantic White Shark Conservancy will be sending out the spotter plane and boat twice a week as part of an ongoing study in conjunction with the state’s Division of Marine Fisheries.